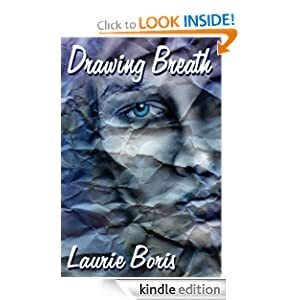 For this week, it's Drawing Breath by Laurie Boris. Disclaimer: I write primarily fantasy, and up to now, I've been reviewing fantasy novels. This book is not fantasy. It's not sci-fi, either. Read it anyway. The book is told from the point of view of two distinct characters: Daniel, a thirty-four-year-old art teacher with cystic fibrosis, and Caitlin, a sixteen-year-old girl. Caitlin's mother has rented their upstairs apartment to Daniel; partly in exchange, Daniel agrees to allow Caitlin into the art class he teaches at the local community center. When that doesn't work out, he offers to give Caitlin private art lessons. Caitlin, of course, has a gigantic crush on Daniel. She fantasizes about a future with him, even as it's clear to everyone else that his health is failing. I'm a sucker for voice in a novel. Some of my favorite authors are my favorite authors because of their facility with sustaining a great voice: Patricia McKillip's fairy-tale lyricism and Kent Haruf's plain-spoken storytelling come immediately to mind. Boris, too, does a wonderful job with the voices of her two main characters. Caitlin's tumble of teenage emotions rings true, and so does Daniel's adult fatalism. When things get complicated -- as they must -- Boris steers clear of the kind of morass that could have turned the plot into Jerry Springer fodder. And the ending is just right. 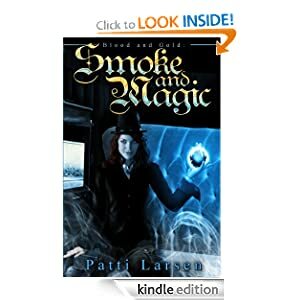 I think my problem with Smoke and Magic was that I didn't realize it was part of a series with a bloodline, if you will. Larsen's "Blood and Gold" series is a spinoff from another series, none of which I've read. And this book ends with a lot of stuff unresolved. I mean, I'm writing my own series and I read a lot of books that are parts of a series, and I understand that you can't resolve everything in the first book or there would be nowhere for the story to go. But you can't leave everything up in the air. And I remember being annoyed when I realized this story had ended, and the rest of the Kindle edition was a lengthy excerpt from another of Larsen's books. The main character here is Auburdeen Hayle, a 16-year-old hereditary witch whose mother leads an extremely powerful coven in New England. Coven-related stuff gets tricky at home, though, and because of it, Burdie is packed off to London for a while to live with her mom's best school chum, Georgina Brindle. Burdie is less than thrilled to be missing all the action at home. But at least Mum lets her take Sassafras, their magical talking cat, along. On the way to the Brindles', the horse-drawn cab Burdie is riding in has to stop for a traffic jam, and a strange young man gets in. On impulse, she hides him from the authorities; he thanks her with a kiss on the cheek as he lets himself out of the hansom. Finally arrived at the Brindles', Burdie meets the family: Georgina, her husband Bernard, and her children, Hugh and Kate. Hugh falls for her, but he's an awkward kid whom Burdie feels nothing but friendship toward. Kate's parents have kept her sheltered, and basically she's aghast at the amount of freedom Burdie has at home. To top it off, Georgina has put a proscription on the use of magic around the house, and she won't let the girl leave the house unescorted. Of course, there would be no story if Burdie meekly complied with all of these restrictions. And you can bet your bottom dollar -- er, pound -- that the strange young man turns up again. And wouldn't you know it, he's got magic, too. Smoke and Magic is a promising beginning. I just wish the author hadn't left so many questions unanswered at the end of it. First, let me preface this by saying that I had no idea which book(s) I ought to review first. I guess I could use the FIFO method -- first in, first out, or in this case it would be more like first read, first reviewed -- except it's been so long that I can't remember now the order I read them in. So I've resorted to using a random number generator. Yvonne Hertzberger, your number is up! "Earth's Pendulum" is a classic fantasy series. 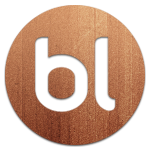 You've got warring nations, political intrigue, criminals, and magic. In this case, much of the magic is Earth-based. The Earth in this world is sentient -- an actual Goddess -- and not only does She feel pain when Her children act against Her wishes, but She has the power to enact retribution on them. Unfortunately, this Divine retaliation often affects people whose actions are only tangentially connected to the wrongdoers. And when a nation goes rogue, much of the planet can be affected. You would think the people would recognize this, and act not in their own self-interest, but in the interest of the whole Earth. Alas, people in this world are just as mean-spirited and pigheaded as on our earth. Which is good in the sense that otherwise there wouldn't be a story here to tell. Book One, Back From Chaos, opens in the aftermath of Bargia's invasion of Catania. Both the Bargian king and his son and heir have been killed in battle, so rule of the newly-united kingdom falls to Gaelen, the second son. As luck (and Earth) would have it, he's intelligent and kind, and much better suited to the job of king than either his father or his brother -- which is a good thing, because among his first acts is to convince only surviving member of Catania's royal family, Princess Marja, to wed him. Gaelen has inherited a number of advisors from his father, and one of the challenges he faces is determining whether all of them will be loyal to him. Among the group is a man named Klast. Politically astute, unassuming, and trained in the deadly arts, Klast is perhaps Gaelen's best friend, as well as his most trusted adviser. Owing to a troubled past, Klast believes he must be a loner -- a belief that's sorely challenged when he rescues Marja's maid, Brensa, after she is mistaken for Marja, kidnapped, and violated. It falls to Klast to teach Brensa to trust again, and perhaps, even, to love. 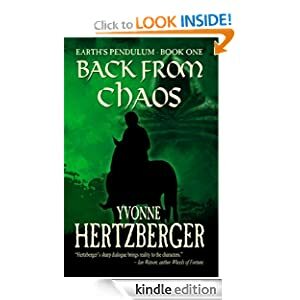 Hertzberger has built a believable world with intriguing characters, whose actions and reactions ring true. Klast, in particular, is a great character. Here's a guy who can hide in plain sight and whose brain is always clicking, always evaluating every nuance of every situation. I was glad he was on our side. I thought I'd kick off Rursday Reads with a no-brainer. 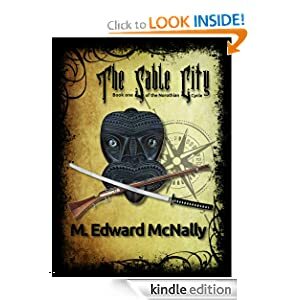 McNally does a great job with this, the first in (at least) a trilogy. I loved many of the characters -- the inept wizard Phin, the mercenary Zeb, the devil Balan (who, I suspect, is a refugee from our own world), and of course Tilda, the novice Guilder who, even after she's lost everything, just keeps on keeping on. If you like epic fantasy -- and I know that a whole bunch of you do -- check out this series.